Endzone Video Systems has been designing, manufacturing and selling telescoping video towers since 1996. These video towers were designed to enable videographers to take video from above while safely positioned on the ground. With over 20 years of experience in the video tower business, we have become nationally recognized as one of the best producers of sports video systems. 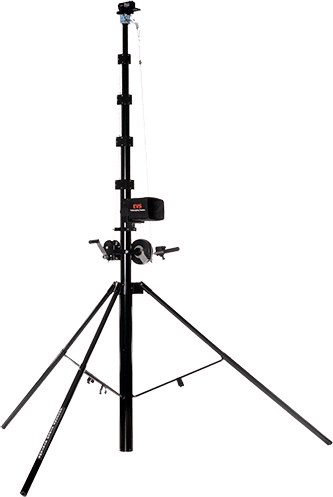 Our sports video towers allow cameras to be sent up to 35 feet in the air and our tripods are easily portable unlike traditional stationary towers. In addition, we are the sole provider of winched powered telescoping tower systems. We build our camera equipment with the videographer in mind, allowing our customers to take spectacular game day video with minimal effort, which is why our customers make wonderful videos that represent the talent of athletes of all ages. With high quality footage, you can empower your team for future plays and capture each amazing moment. Regardless of your project, EVS has the product that will help you get the perfect photo or video of your team. Please tour our site for more information or call any time if you need further assistance. Our team of experienced professionals can offer you personalized guidance on choosing the best telescoping camera system for your needs.